Dr (Maj Gen) D V Singh is an alumnus of Maulana Azad Medical College (MAMC), Delhi. After joining the Armed Forces he pursued M.S. General Surgery at the Armed Forces Medical College (AFMC), under the University of Pune. Subsequently, he did super specialisation in urology with an M.Ch. (Urology) from the prestigious All India Institute of Medical Sciences (AIIMS), New Delhi. He was commissioned into the Indian Army in 1983 and while in Armed Forces Medical Services (AFMS) served in various appointments as a Medical Officer, General Surgeon and Urologist & Renal Transplant Surgeon. He superannuated as Senior Consultant in March 2017 after a professional career of more than 34 years. 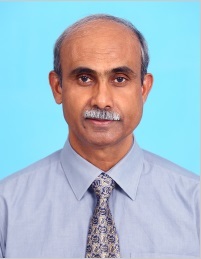 He has held the appointments of Professor and Head of the Department of Urology & Renal Transplantation at the Army Hospital R&R, Delhi Cantt & Professor and Head of the Departments of Urology at Armed Forces Medical College (AFMC) and the Command Hospital, Pune & Base Hospital Delhi Cantt. He has been engaged in teaching Post Graduates in General Surgery & DNB (Genitourinary Surgery) under the NBE and in pursuing Urological practice along with Renal Transplantation and Robotic Surgery at the apex Army Hospital Research & Referral Delhi. Dr (Maj Gen) D V Singh has been a Postgraduate Teacher / Examiner at various universities/boards namely Pune University, MUHS Maharashtra, RGUHS Karnataka, GGS University Delhi, Delhi University and the National Board of Examinations. Commanded (Director) the second largest Military Hospital of Armed Forces Medical Services at Jalandhar & also served as the Director of Army College of Nursing (An institution of AWES). He has been reviewer for the Indian Journal of Urology (IJU) which is the official publication of the Urological Society of India & the Medical Journal of Armed Forces of India (MJAFI) which is the official publication of the Armed Forces Medical Services of India. He started a successful Live Related Donor Renal Transplantation Program at the Armed Forces Medical College and the associated Command Hospital, Pune as Professor and Head of Urology in 2007. Development of a successful Laparoscopic Donor Nephrectomy Program since 2009 & gave impetus to the Deceased Donor Renal Transplantation and Minimally Invasive Urology Programs since 2010 at the Army Hospital Research & Referral, Delhi. For the outstanding achievements in Urology & Renal Transplantation he has been awarded the “Chief of the Army Staff (COAS) Commendation” twice in 2005 &2013.